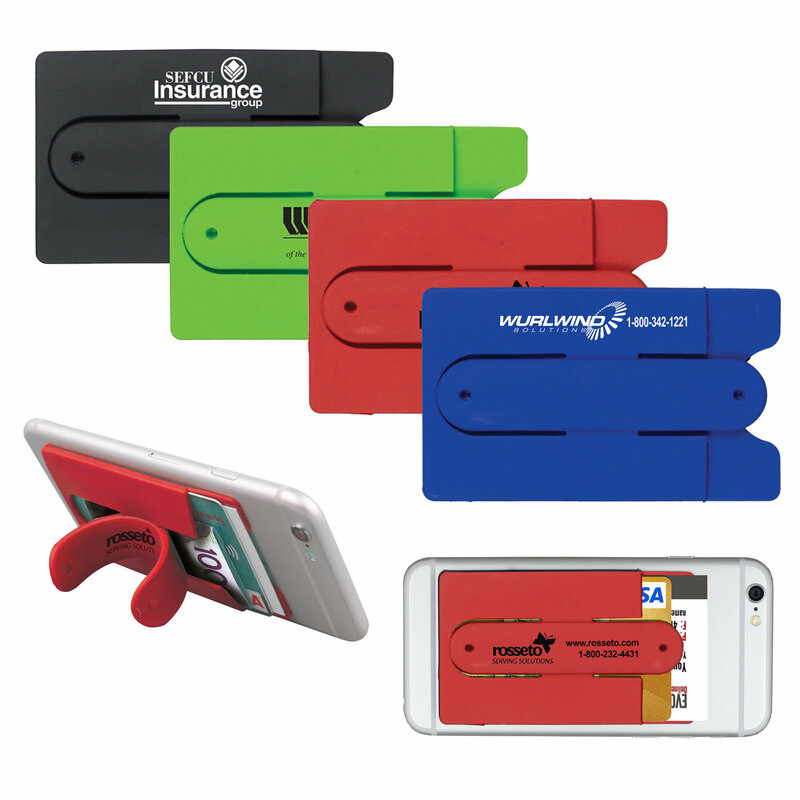 The Soft Silicone wallet has real 3M adhesive backing and a pop out kickstand which props your phone up on a table or desk. It also securely holds 2-3 credit cards, a driver's license, money, business cards, hotel room keycard, and more. It also makes phone easier to grip. It sticks on back of a phone or phone case and no residue after removal. It includes an inserted instruction and explanation card enclosed.. Exact PMS matches are not available. Above and Below panel 2" x 7/16"
Available Imprint Colors*: Black, Brown 161, Burgundy 195, Charcoal 430, Forest Green 342, Green 347, Gray 428, Pink 225, Process Blue, Reflex Blue Navy Blue 281, Yellow 110, Red 186, Teal 320, & White.